In deciding to take the big leap, I knew two things for certain: I was putting future chances of being traditionally published on the line, and I would not be able to undo any career-related damage it might cause. Before 2011, I was a fledgling writer in chains. My success as a novelist depended on whichever benevolent literary agent buried in New York’s bowels might find my work amazing and sellable. 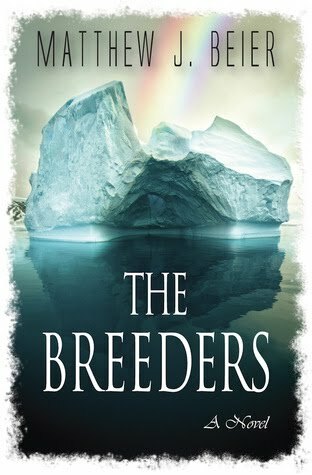 By the time I started sending queries for my “gay agenda” satire The Breeders (and actually having success getting manuscript requests), I was well broken in to the traditional publishing system, complete with thick skin and a healthy dose of self-doubt. Read the rest of Matthew's article here: Of Decisions and Dream Chasing. Matthew's story reminded me that when success comes it's often through prolonged, exhausting, effort. His is a great story and an inspiration although in an I-hope-it's-not-that-hard-for-me sort of way. Thanks to Passive Guy for mentioning Matthew on the Passive Voice Blog. - Fifty Shades of Grey - Oh My!